Tara was born and raised in Waterford and is a graduate of Michigan State University. Fitness has always been a big part of Tara's life. 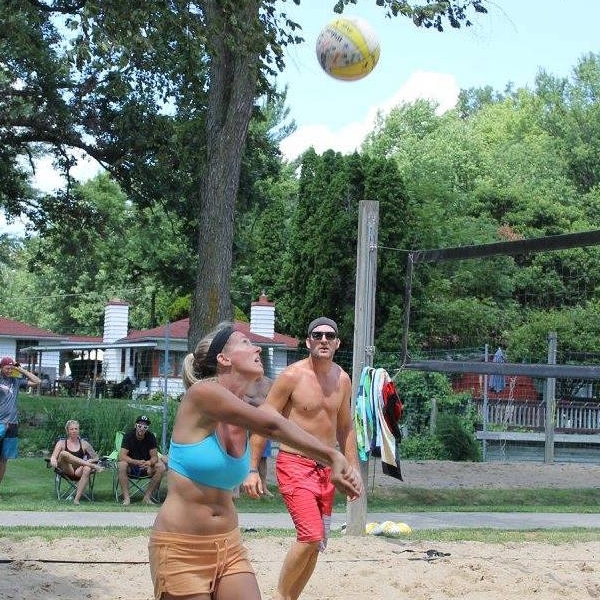 When Tara is not working her 9-5 job or teaching classes at Mueva, you can find her playing volleyball, bike riding, kayaking, or lifting iron at the gym. Tara recently married her firefighting hero Greg and together they live an active lifestyle often being seen riding their bikes along the Paint Creek Trail or playing flag football with friends. Tara has a very demanding job as a pediatric social worker for Hospice of Michigan. This is where her kind and compassionate heart shines through as she helps families through the most difficult of times. "Our team is involved with families during a vulnerable time. It is humbling and an honor to be part of their journey." Fitness has always played a significant role as a stress reliever for Tara and serves as a reminder of how fortunate many of us are to have healthy bodies and just be able to get together to enjoy a good workout. Teaching kickboxing has been an exciting addition in Tara’s career path and allows her to help people achieve their goals.